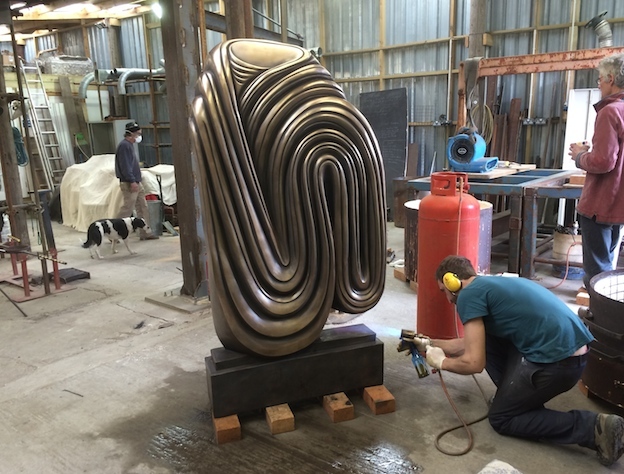 Friends at the London Bronze Casting foundry have been busy for the past few months working on the casting of Paul’s work. Avid readers of our news site will remember the mould being made some months ago of the Portuguese Senator, originally carved from Portuguese marble. As you can see the piece has progressed beautifully and now they are finishing off the all important patina. The bronze will be on Paul’s stand at Chelsea Flower Show which opens on 18th May. This entry was posted in news on April 29, 2015 by Paul Vanstone.